During the past months, several states, whether from the U.S. or Europe, have been dealing with extremely low temperatures. That’s not just uncomfortable, cold weather can also be dangerous and even deadly, especially if you don’t take precautions in how long you’re out and how you dress. How do we develop frostbite and how can we stay safe from it? The really bad news is that just by taking a brief walk outside without a hat can give somebody frostbite on the back of their unprotected ears. Frostbite’s damage to skin and underlying tissue is the most common injury resulting from exposure to severe cold and it usually occurs on the body’s extremities – fingers, toes, nose, ears, cheeks and chin. The damaged skin typically appears white, waxy or grayish-yellow at first and is cold and numb. Call your health care provider if you notice these symptoms. If the condition is caught at an early stage, it’s possible to prevent permanent damage. If not, frostbite can progress, and lead to the need for amputation. An even more dangerous reaction to cold weather begins when the internal body temperature significantly drops, in a condition called hypothermia. Initially when you’re exposed to the cold you’ll shiver and that can be beneficial in trying to keep you warm. But, as hypothermia progresses, your body’s response to the cold actually diminishes. That’s when you stop shivering and you’re core temperature starts dropping at a fast paced rate. As the body gets colder and moves slower, your mind thinks slower, your heart starts moving slower. At the end of the whole you become confused, you can go into a coma or even die. How do you prevent the dangers you’re exposed to during cold weather? First of all, you need to check the local news sources for updated weather warnings, and stay inside unless you absolutely have to go out. If you must go out, wear layers of protection appropriate to your activity level. And if you’re headed out in a car, be sure to pack along additional clothes, a blanket, an extra hat and extra gloves (mittens are best), just in case something happens to your car. Make sure you also have a flashlight with fresh batteries in your car, as well as a full tank of gas. 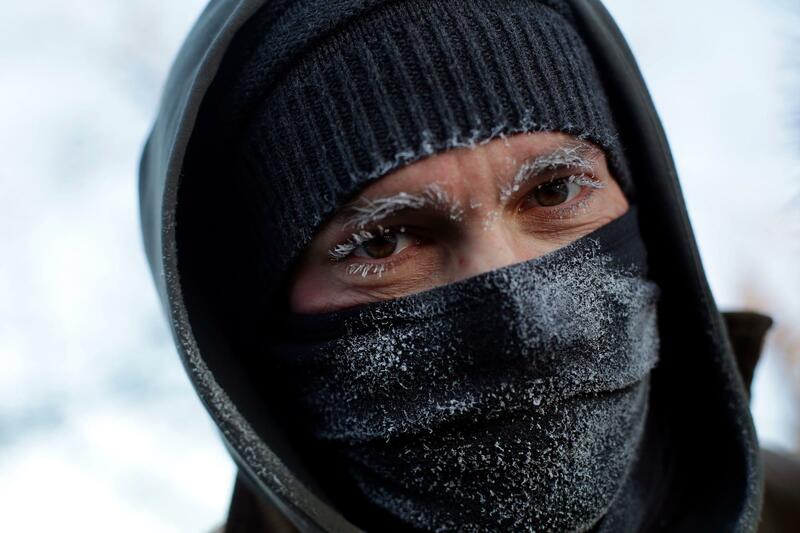 The Number 1 thing to keep in mind is that you’ve got to keep your whole body covered up when it gets brutally cold. That means hands, ears, necks and your face. It’s just as easy to get frostbite on your ears. Not drinking alcohol would be best, considering that it may affect your judgment and your physiology. ‹ Apple revenue and profits are down as iPhone sales take a hit, but Apple services are flourishing	› What are the causes of world hunger and are there ways to banish it?